Planning for an alphanumeric route marking system goes back to 1997, when all the States and Territories agreed to convert to alphanumeric style route marking, in order to have a nationally consistent route marking scheme. The first alphanumeric route for Queensland was M1. This was implemented in September 2000, with the upgrade of the Pacific Motorway between Eight Mile Plains and Tugun. September 2000: Metroad 1 was decommissioned in favour of M1, which covers the Pacific Motorway from Tugun to Eight Mile Plains and also the Gateway Motorway from Eight Mile Plains to Bald Hills. 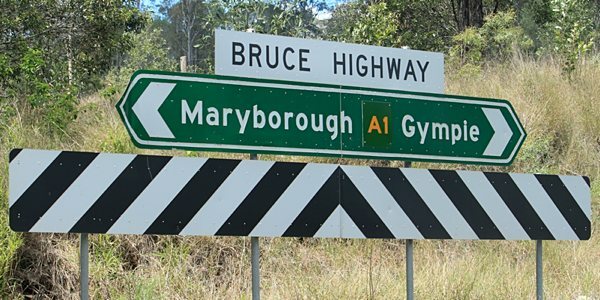 2005: M1 was extended to take in the Bruce Highway from Bald Hills to Cooroy. Below are the various routes this site has photos of. The routes are sorted by their route number, not their classification. This site © Paul Rands. All rights reserved. Some portions © (copyright) by their respective and credited owners. Permission must be obtained before using anyimages from this site. For details, please email by clicking here.